In which your narrator discovers an out-of-the-box method of making small holes for pinned hinges in small features. The calculator is here http://josefprusa.cz/RepRapCalculator.html or on Github https://github.com/prusajr/RepRapCalculator. 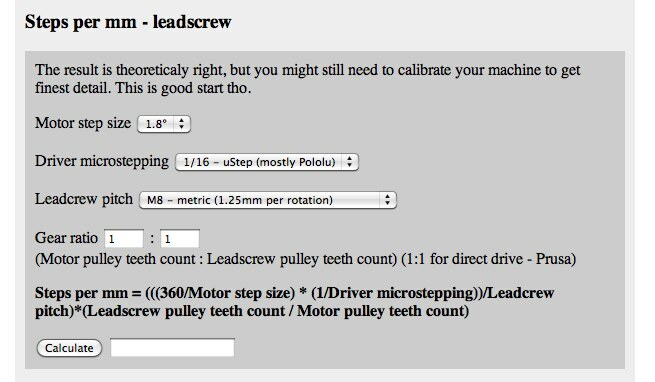 I originally wanted to just calibrate the thermistor table I used in my FW, since I remember that Camiel from Mendel-parts was moaning that his table was horrible and it affected his prints, I now just guess that his table wasn't made for his thermistor. 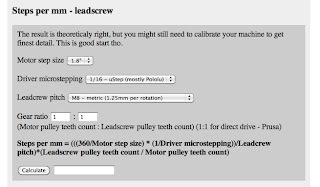 I used one generated exactly for my thermistor by createTemperatureLookup.py from SVN. So I crated fake heater with both Thermocouple and Thermistor and written small sketch in Arduino to generate table, BUT I did want first to simply try how imprecise it is. Then I was shocked, both readings were pretty close, actually biggest deviation was 3°C. 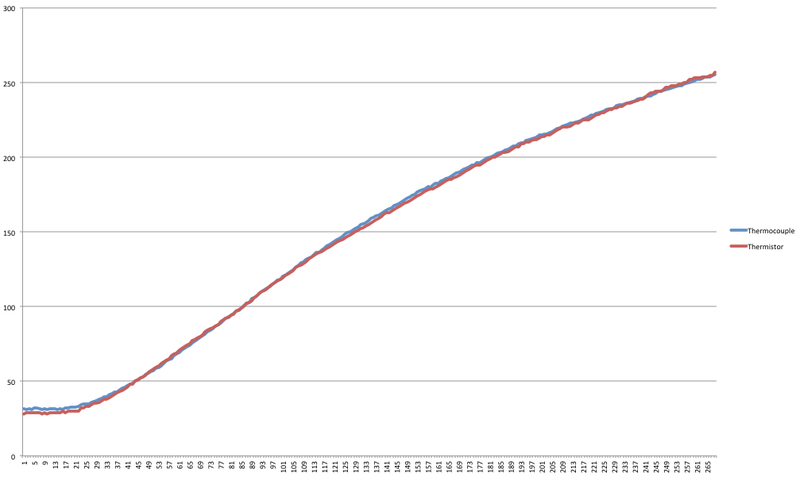 You can see the graphs under and also download the Arduino sketch and sample data. Code and data can be downloaded on RepRap wiki.